The Phoenix Cinema: A Century of Film in East Finchley tells the lively story of the picture-house that was built in North London in 1910 and that is still attracting audiences today. The book follows its fortunes through the various name changes (Picturedrome, Coliseum, Rex, Phoenix), physical transformations and programming policies that have helped it to endure and outlast its rivals. The wide-ranging account describes the Phoenix’s construction in the 1910s, the introduction of orchestras and live variety acts in the 1920s, its response to the threat from the super-cinemas of the 1930s, how it dealt with the decline of cinema-going in the 1950s, the introduction of ‘art-cinema’ films in the 1970s and much more. The story of this unique cinema will be of interest not only to its past and present audiences but also to all those with an enthusiasm for local history, cinema history and twentieth century developments in popular culture and entertainment. Gerry Turvey is a former board member of the Phoenix Cinema Trust. He has a life-long enthusiasm for films and first became involved in film education when he was working in a West London comprehensive school in the 1960s. Subsequently, he went on to teach film to undergraduate and postgraduate students and, in more recent years, was responsible for developing the degree in Film Studies at Kingston University. He has carried out research into early British cinema and published articles on his investigations in various books and periodicals. A particular interest has been the films and personalities associated with the British and Colonial Kinematograph Company, film-makers who had a studio in East Finchley in the 1910s. 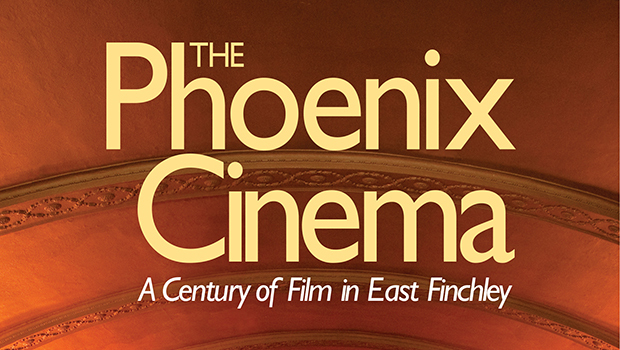 The Phoenix Cinema: A Century of Film in East Finchley is now available to download for Amazon Kindle.